To be continued. Where we are going, we don’t need an author standing over our shoulders. I pecked at each letter with an unnatural purpose, leaving just enough pause between each tap to prolong the moment. With all the sustain I could wrangle out of the plastic keyboard, I watched the final period come onto the screen. Rolling for Coal had been well over two years in the making, much of the rewrite and revision work done at 30,000 feet over the course of a few hundred thousand miles. Though I knew I still had quite a bit to learn through the Beta Read process, at that moment, part of me believed I was finished. It was an amazing feeling. Truth is, through the Beta Read process, I now know I have a long way to go. No, it’s not another two years. But it’s more than a few edits. To be totally candid, I was crushed by this realization. Not because I’m afraid to do the work, it’s just that I am ready to move on. I am ready for the end so that I can be back at the beginning. The good: my Beta Readers were kind: all but one finished the book; without exception I received helpful and constructive feedback (use a questionnaire). My Readers seemed to agree that both the story and writing got better – much better – as it went along. It was amazing to hear my readers talk about my characters – to say their names, discuss their personalities and desires, even question their actions, motivations, or shortcomings. It was as if they knew them (or had an idea of how they wanted them to be), and as a first time novelist, it was gratifying to hear their names. Prior to this process, my characters were just that: mine. Even if critical, my beta readers put air into their lungs, gave them a pulse and I was able to watch fictitious friends come alive. If I wasn’t totally hooked on writing fiction, I am now. The not-so-good: It was evident that the harder I tried, the harder it became for my readers to enjoy the story. This was particularly true in the first half of the book, where my prose was thick; chunky metaphors and long-winded descriptions derailed the pace. At first, this actually surprised me. I had spent considerably more time on the first half and I actually thought my writing was more refined. I even tried to bend the rules. The problem was my labor was obvious. I didn’t hide behind the words, I stood in front of them. On each page, I was a distraction, and I didn’t disappear until the second half. Truth is, as hard as it is to take, not many people would get past the first half as it stands: reading with someone over your shoulder is incredibly irritating, especially if it’s the author. The take-away: My writing improved as the story went along, and for most, the story stuck. I can be happy with that. I’ve learned that there is probably more than just a little room for improvement, but I’m willing to put the effort in to fix prose, trim fat, and kill a few darlings. I can even take myself out of the story. And once I do, there is still a big part of me that knows I might just have something to go with here. 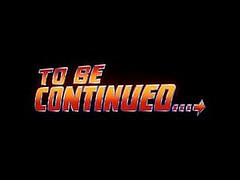 Bottom line, instead of writing “the end,” I should have confessed “to be continued.” Stay tuned, if you want to come along for the ride (I wish I had a Delorean). Amen to that! But, at some point doesn’t it have to be over? It is especially daunting when you have more than one critique say the same thing. Then you really know you need to fix something. Thanks for sharing your experience. Congratulations on your achievement. There are many along the way. I have already published , but currently working (again) on getting a new more professional cover image. Then there is a bump up in the marketing campaign yet to come. It never stops. Definitely nothing wrong with putting it down for a bit.. A little time away should help you come back with a fresh perspective (catchphrase!!) Excited to hear about your new project! But, good luck on finishing your novel, the hard work starts here. Those are easily up there as two of the best! I might just steal those at some point as I continue to write about this “process.” It’s fun, though, isn’t it?! Thank you for sharing, really appreciate it! Here’s a link to a post of mine about how I trigger my subconscious to get on with the writing while I get out of the way. The process had some weird side-effects but in general it worked (for me anyway). I haven’t read it, but I can relate to the feeling of wanting to be done. Ready to move on. And the harder try, the harder it is to get into for other people. I’m happy you can relate 🙂 I guess that is the sweet spot – when we don’t have to try any more, and it just happens organically. I suppose that takes more than just a few years! Keep plugging away…and thank you, as always, for stopping by! Thank you! Almost there…its been quite a ride, that is for sure. Wish I could loan you my Delorean, but that would mean I would have to have one too 🙂 Happy writing! Only following your lead, Mr. Lucas! Hope you are right (actually, I know you are) – starting to look forward to the revision work, actually. Still working on my next one and will probably stick with it (I am outlining – which is a different approach for me) for another month or two before returning to the old RFC manuscript. Thanks as always for your continued support – and you can count on me hitting you up! Go k(w)ings! Well a tip to the hat to you as well. The support that came through for me over the last year (that wouldn’t have existed without my blog and blogger friends). I’m wrapping up the first draft for a short story to submit to an anthology. I’m looking forward to the revisions as well. It’s just easier once you have something on the page! Outlook looks good for our teams to meet up in the finals. Look out!